The new EP of the German metal legends ATROCITY! ATROCITY "MASTERS OF DARKNESS" - DER TOD IST EIN MEISTER AUS DEUTSCHLAND! [Death is a master from Germany] ATROCITY, one of Germany's most successful metal bands, was formed in 1985 and is one of the most experimental and diverse musical acts in the history of metal! They have always found the courage to explore uncharted territories, while delivering top-notch productions. One such production was their full-length release, "Werk 80 II", which entered the top 20 of the German Media Control Charts. Within their career, the band already traveled through 5 continents, over 50 countries and played hundreds of concerts. With "Okkult" (2013) they started a very special album trilogy, as it has not been seen before in the metal scene! 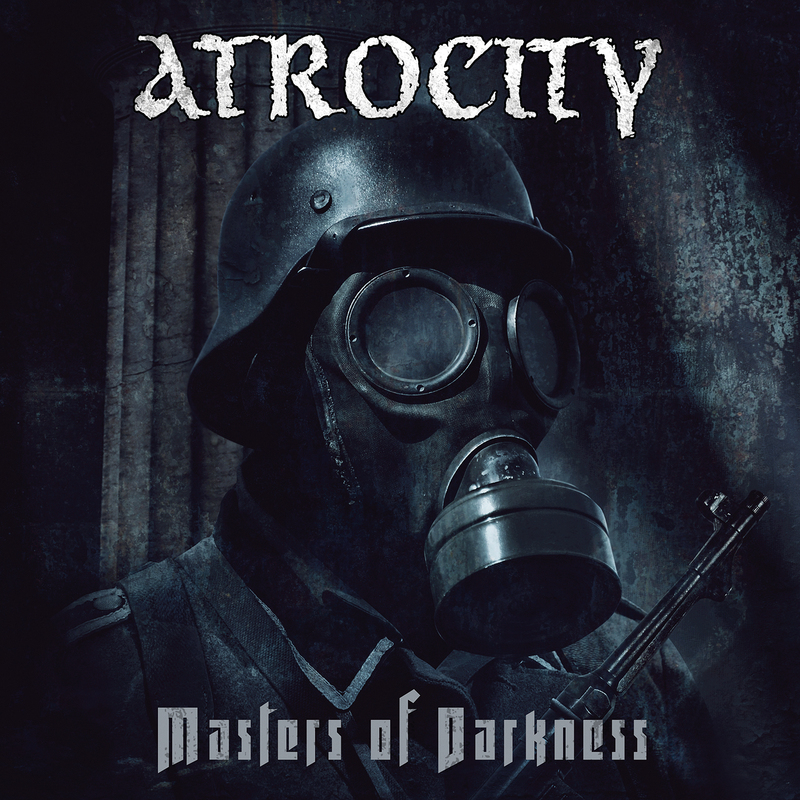 After their "Okkult" world tour, ATROCITY re-signed with Massacre Records. The German metal flagship is back with a vengeance! Musically, no prisoners will be taken: "Masters Of Darkness" is brutal, bombastic and dark! The new impressive EP is the perfect harbinger of the upcoming album "Okkult II", which will be released in 2018 via Massacre Records worldwide!